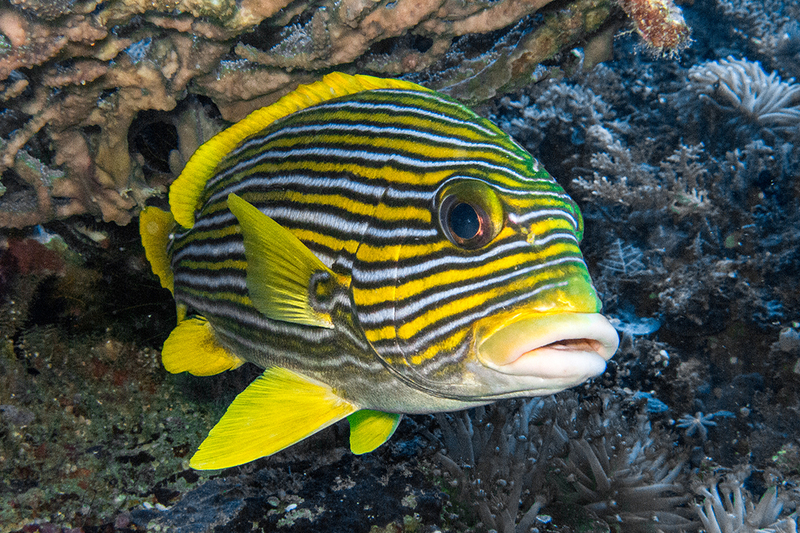 If you’re looking for variety of species on a dive, then Cape Kri should be your first stop. 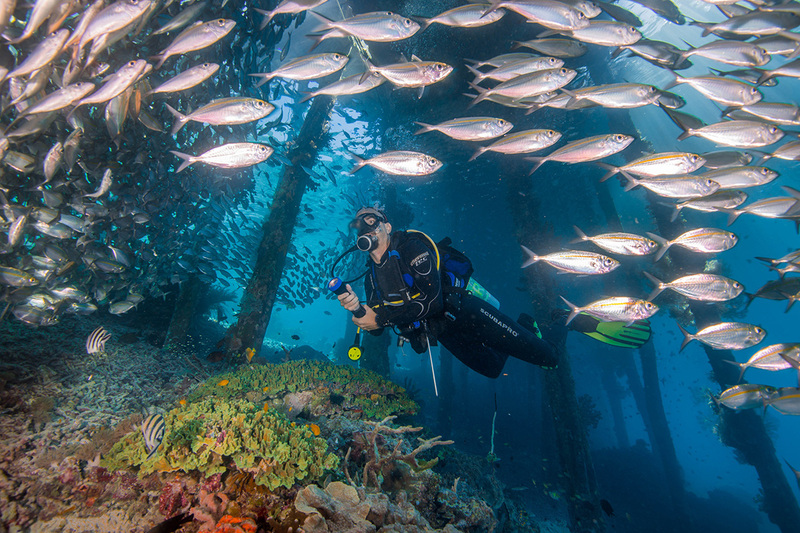 This world-record setting site is where no less than 374 species of fish were counted in just one dive! Tons of small reef fish, schools of jacks, batfish, barracuda and snapper are just a few of the fish you’ll see. 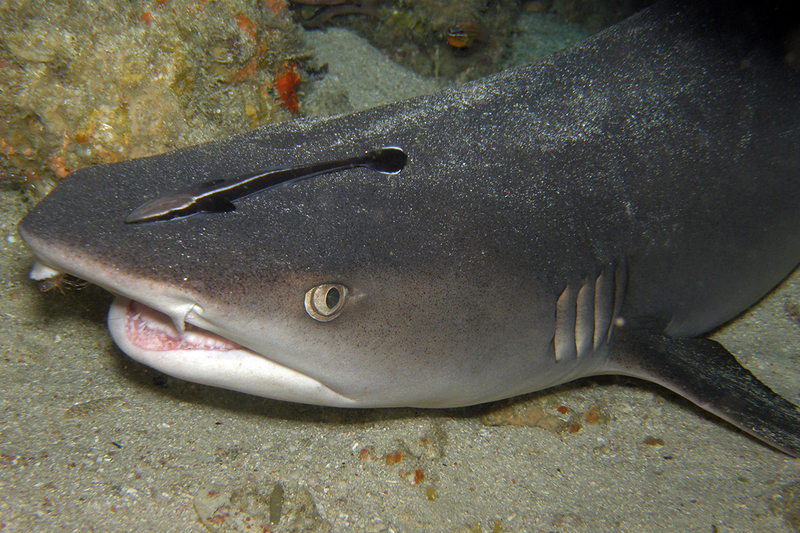 You can also expect sharks, turtles, and grouper that come to feed on the smaller fish and nutrient rich plant life. To the east of Kri is a small underwater hill covered in soft coral, bushes of black coral, huge gorgonian fans and masses of coral heads. This is Sardine Reef, where huge schools of sardines, fusiliers, butterfly fish, damsels and banner fish can feast on the nutrients in the water. Larger predators like black tipped reef sharks, white tipped reef sharks and even the occasional grey reef shark cruise around feasting on the easy pray. This is the perfect opportunity to watch the food chain in action! Arborek may be better known as a stop to see the culture of a local village in Raja Ampat, but it’s also a pretty good dive site. It’s well photographed and can be a little crowded, but the selection of critters and vibrant coral is great. From camouflaged frogfish to nudibranchs of every colour and swirls of schooling fish, it’s an underwater photographer’s paradise. Between Mioskon and Cape Kri is the famous Blue Magic. 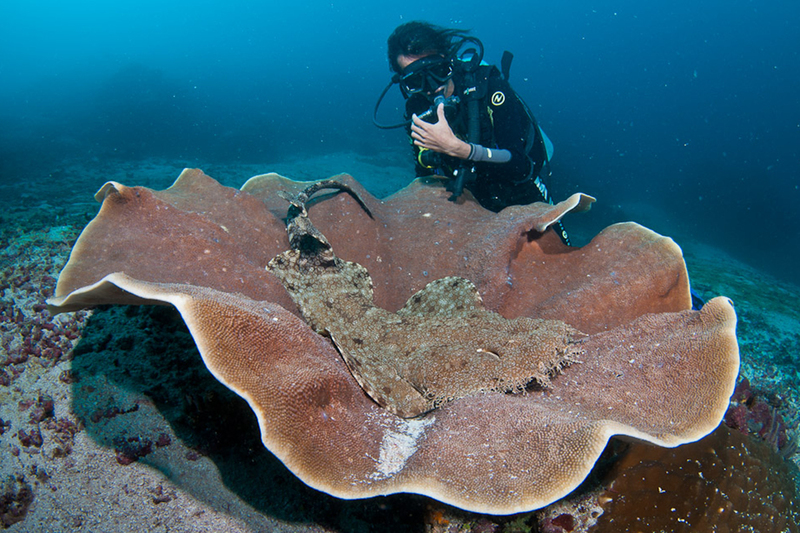 This reef starts at around 8 metres and drops down to 30 metres. Everywhere you look teems with life, colour and movement. Every surface is carpeted with hard and soft corals that are home to everything from the teeniest shrimp to wobbegong sharks. This site is a must-dive in Raja Ampat. Named after the son of one of the first divers to really explore Raja Ampat, Mike’s Point is the eastern tip of Kerupiar Island. This island was famously bombed in World War II because it looked like a Japanese warship. Now, it’s one of the most popular dive sites in Raja Ampat thanks to the incredible marine life that has inhabited the slopes and plateau of the site. 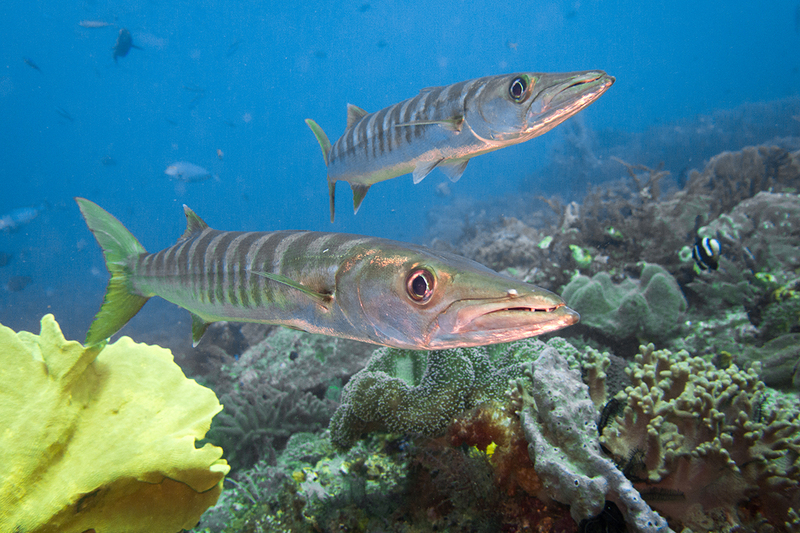 Hard and soft corals cover the rocky features and schools of barracuda, jacks and yellow striped sweetlips frequent the area. The dives in the Dampier strait are truly breathtaking, but of course with the currents that bring the life, also comes an element of danger. Gangga Divers at Papua Paradise Eco Resort will assess your readiness to dive in this area before going out and you will also have to self-assess your confidence level. Certain dives, for example Mike’s Point, can have extreme currents and sudden downdrafts. 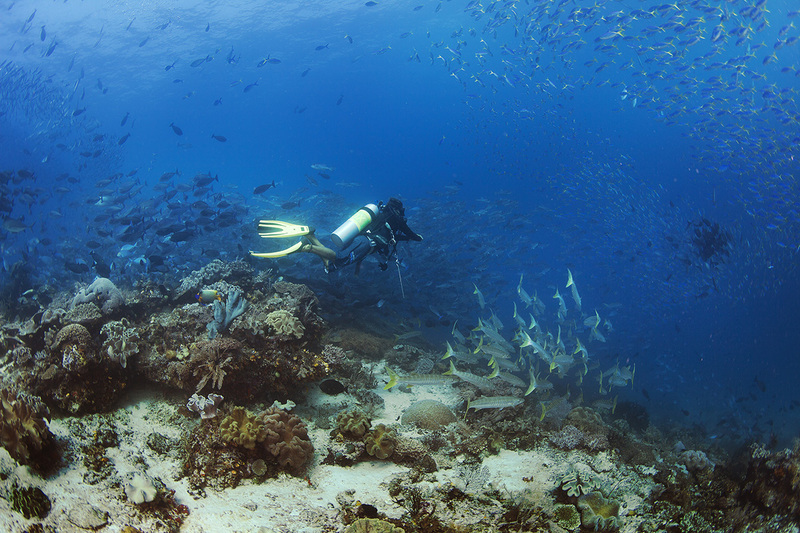 At certain times some sites may be too dangerous to dive, or will be available only to divers with at least 50 dives under their belts. To learn more about where Gangga Divers dives, or find out if diving in the Dampier Strait is for you, leave us your question or comment below.